This course is for the beginners. You will learn to use German in everyday situations. After the course you will be able to introduce yourself, order food in a German restaurant, book a hotel in Germany and much more. Your vocabulary will increase and you will learn the important basics in German. You do not need any previous knowledge to participate in the course. This course is for people who have basic knowledge in German. The course concentrates on communication. You will learn to use German independently. We have interesting group and individual discussions where you can apply your language skills to different situations. We also concentrate on writing and listening skills. Your language competence will increase enormously ! You will understand topics which include family, work, school, travel etc. Our teachers are professional pedagogues. They have a professional degree and a lot of experience. During this course you are not just learning German effectively, it will also give you the confidence to throw yourself into the German culture and relate to its people. We will have speaking exercises in cafés and restaurants. You will also have the opportunity to get to know German business culture, and we can also organize tours to historical cities like Potsdam and Berlin. In addition, you can get to know about ancient Magdeburg, its cultural life and discover many pubs with the German people. 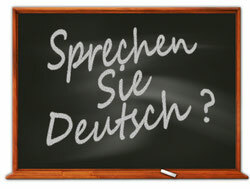 Come and learn German with us! Welcome to the Kunnasberg Language Academy!